At first glance, Tom Price seemed like an odd person for Donald Trump to pick for Health Secretary: While the president-elect has promised to maintain Medicare in its current form, Price has been one of the House’s most enthusiastic advocates for privatizing the program. But even if Trump and Price don’t see eye to eye on entitlement reform, they appear to be in full agreement on a more fundamental principle: The appearance of corruption is totally fine. Trump has, of course, spent the past month flaunting his immunity from conflict of interest laws — inviting the managers of his “blind trust” into policy meetings with dignitaries and Silicon Valley titans, while strong-arming foreign diplomats into booking rooms at his hotel. Price’s taste in violations of ethics norms is a bit less garish. But the Georgia Republican has spent the past four years trading more than $300,000 in shares of health-industry stocks while sponsoring legislation that would ostensibly impact the value of those shares. Since 2012, Price bought and sold stock in roughly 40 pharmaceutical, health-care, and biomedical companies, according to The Wall Street Journal’s review of the trades he filed with Congress. During that same period, he sat on the House panel that oversees Medicare, and sponsored or co-sponsored 44 bills affecting the health-care sector. Among Price’s sketchier investments was a purchase of between $50,000 and $100,000 in the stock of Australian drug company Innate Immuno. Price’s purchase came two days after his fellow House Republican Chris Collins bought between $500,000 and $1 million worth of Innate Immuno stock — making the Trump transition member the company’s largest shareholder. Earlier this year, Innate Immunuo chief executive Simon Wilkerson told investors that its future depends on the success of an experimental treatment for multiple sclerosis that is still in clinical trials. One law enacted this month that could benefit Innate Immuno is the 21st Century Cures Act, which authorizes spending $6.3 billion for medical research, including $500 million for the FDA to speed up drug approvals. A key provision that would permit clinical trials of new medical treatments to proceed more quickly was written by Mr. Collins as a member of the health panel of the Energy and Commerce Committee. 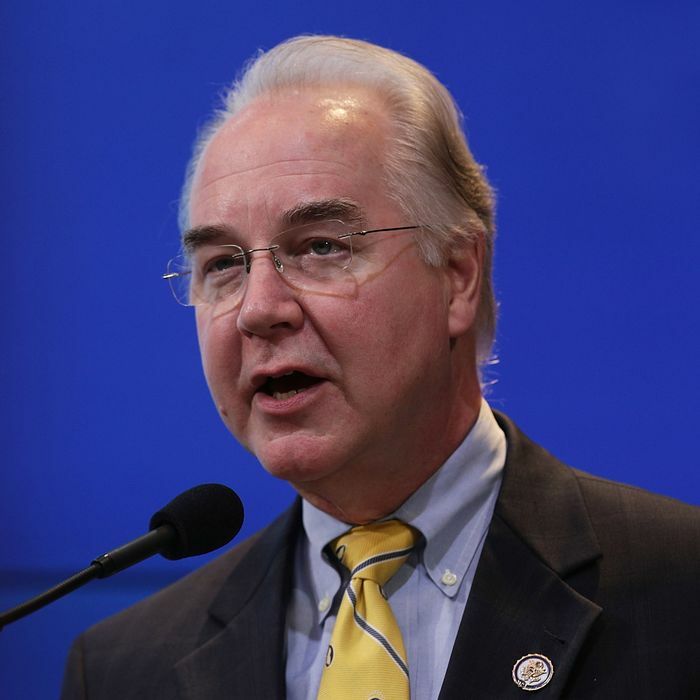 Price also increased his holdings in Aetna last March, while championing a version of Obamacare replacement that could, conceivably, increase the company’s profitability. The Journal’s report offers no evidence that Price violated that prohibition. But ethics lawyers, both Republican and Democratic, have advised members of Congress to stick to mutual funds to avoid any appearance of impropriety. It seems less than likely that Republican senators will take exception to Price’s dealings, given how forgiving they’ve been of Trump’s more grotesque violations of ethics norms. Republican senator Bob Corker has already indicated that his caucus will apply that same laissez-faire attitude to the president-elect’s appointees: While Democrats have argued that Rex Tillerson — the chief executive of an oil giant that has a multibillion-dollar interest in lifting sanctions on Russia — should release his tax returns before being confirmed as secretary of State, Corker said Thursday that Tillerson has every right to keep that information to himself. As the head of the Senate Foreign Relations Committee, Corker will be the top Republican overseeing Tillerson’s confirmation.